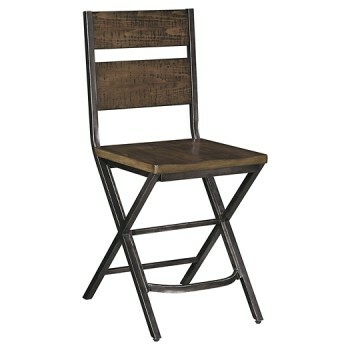 This timeless counter height bar stool elevates industrial-chic style in such a tantalizing way. It might look naturally weatherworn, but the replicated design provides the strength and durability of modern materials. Smaller scale is ideally suited for high-style homes that are short on space.